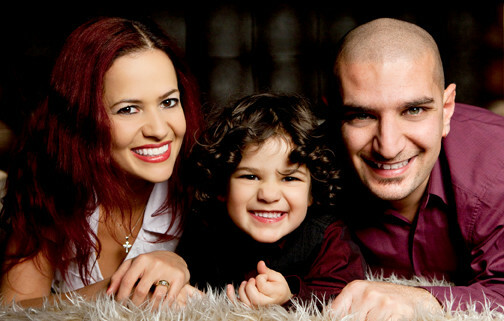 I’m so looking forward to little man starting school in September, it’s going to be emotional! We are currently getting ready to start school, looking at uniforms, stationary and lunchbox food, we were sent a selection of Cheestrings products to review. 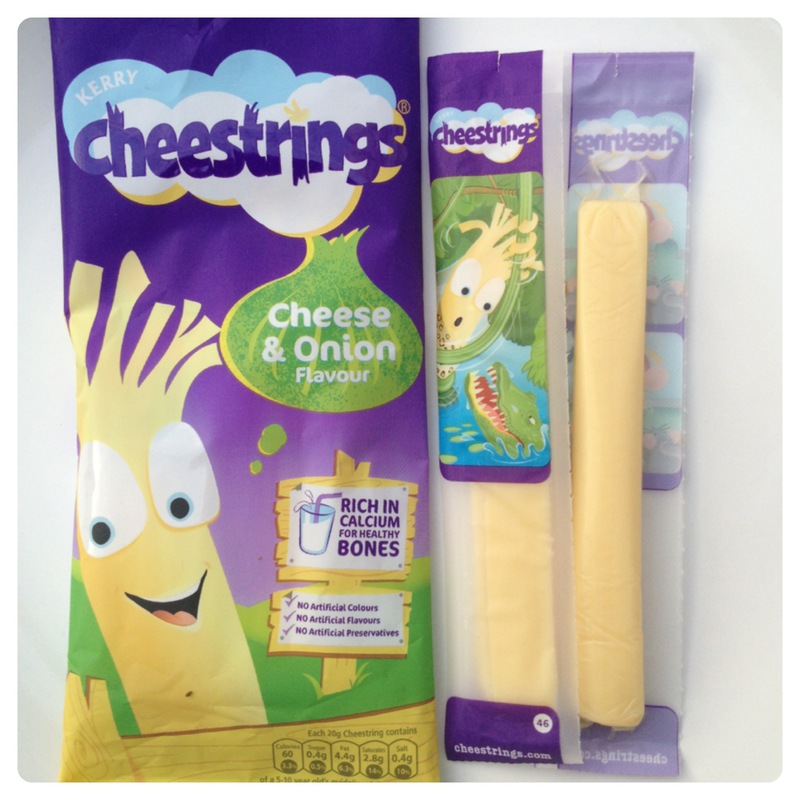 In time for the kids going back to school, Cheestrings, the fun and playable kids cheese snack, has added two scrumptious new flavours to the range – Cheese & Tomato and Cheese & Onion – to offer parents that all-important choice to keep their kids lunchboxes interesting. Like the existing range, both flavours are made from 100% fresh milk and are rich in calcium and vitamin D – solving the problems for parents searching for the perfect healthy lunch box treat that their kids will love. Available in all major retailers, brand new Cheese & Tomato is the ‘rebel in red’, bringing a zesty tang to any lunchtime. Little man enjoyed trying the Cheese & Tomato flavour. The delicious new Cheese & Onion flavour adds a mouth-watering twist to lunchtimes – perfect for kids always looking for the next cool treat. Little man also enjoyed the Cheese & Onion flavour! Both flavours are totally free from all artificial colours, flavours and preservatives and also provide a quarter of the recommended daily allowance of calcium and vitamin D.
We were also sent some Cheesetrings in Spaghetti format, little man had never tried them before, but loved the fact that it was possible to have cheese in the same shape as spaghetti. 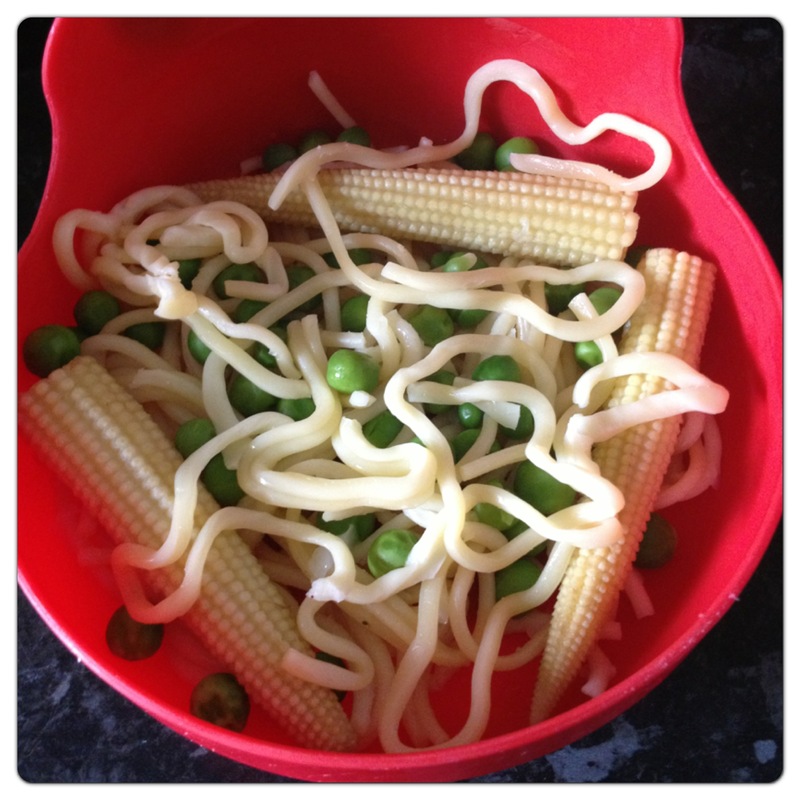 Little man had it with pasta and he couldn’t tell the difference between the cheese and pasta – he loved it! 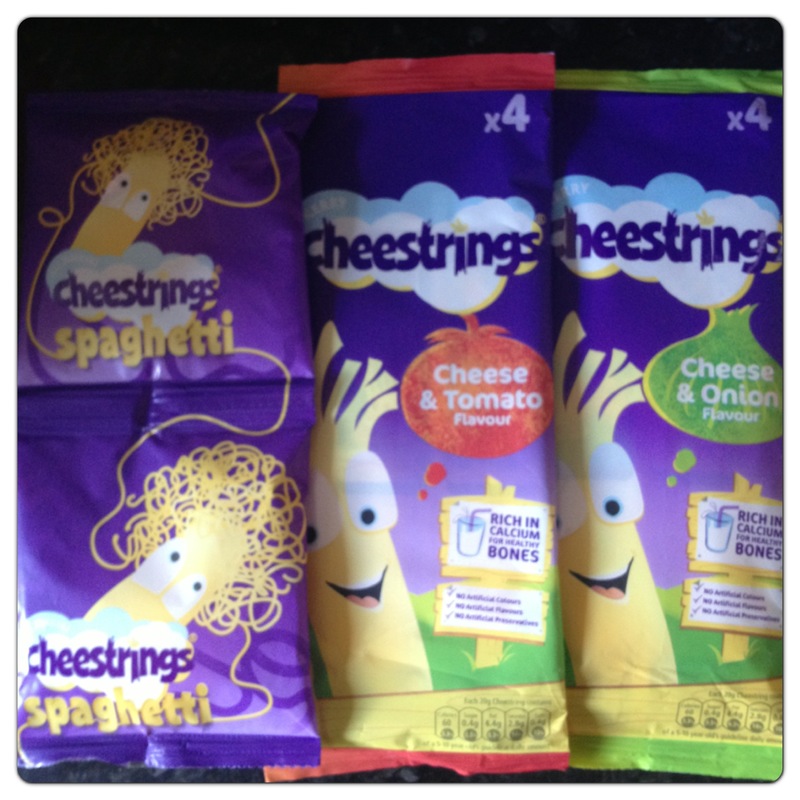 Cheestrings Cheese & Onion and Cheese & Tomato are on sale now (RRP £1.50 for a pack of four). 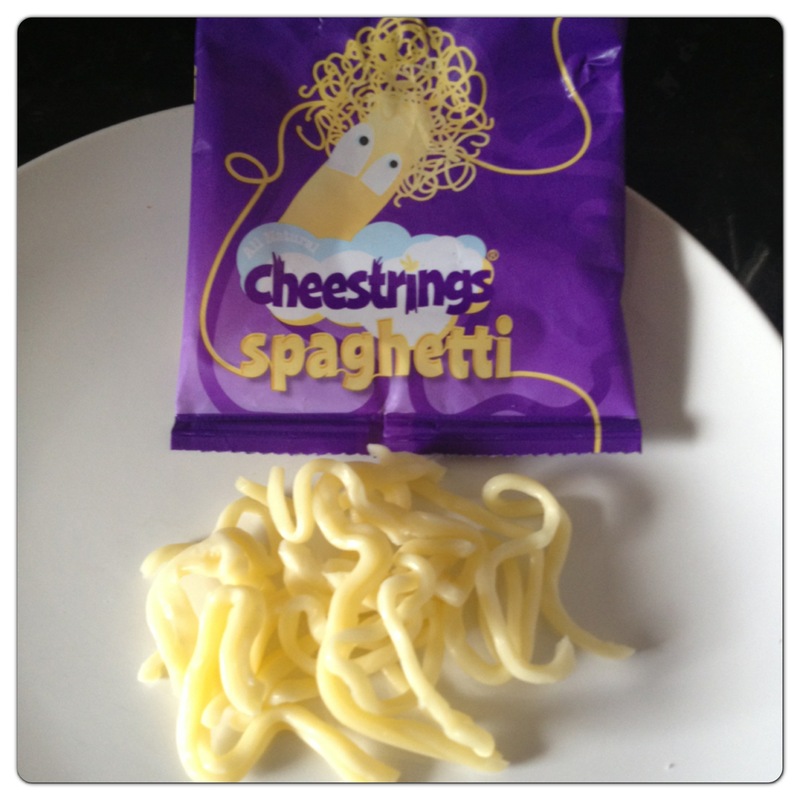 The Cheese & Onion flavour is also available in Spaghetti format. 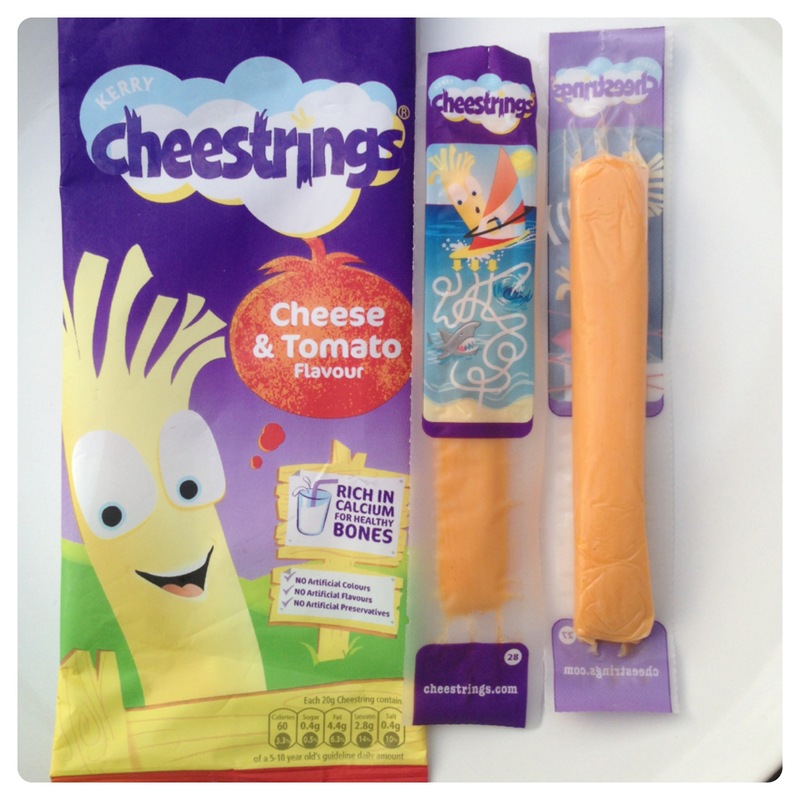 2 Responses to "Back to School Lunchbox with Cheestrings New Flavours"